Qantas looks set to return to Fiji for the first time in many years in 2019 after lodging an application for capacity rights to serve the popular Pacific Island tourist destination. The airline’s has asked Australia’s International Air Services Commission (IASC) for 696 seats per week between Australia and Fiji. 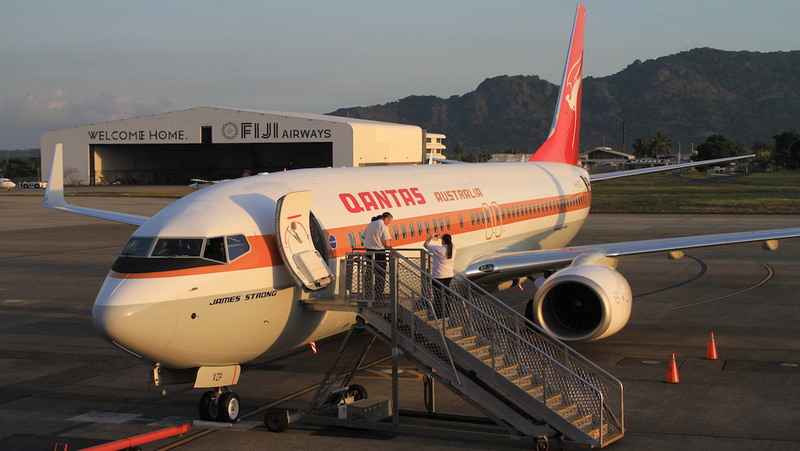 “Effective during the Northern Summer scheduling season, commencing 31 March 2019, Qantas plans to commence services between Australia and Fiji route using B737 aircraft,” the application dated November 27 and published on the IASC website said. As Qantas’s Boeing 737-800s are configured with 174 seats – 12 business recliners in a 2-2 layout and 162 economy class seats at six abreast – the application for 696 seats a week suggested the airline is planning to operate four return flights a week between Australia and Fiji. A Qantas spokesperson confirmed it was the airline’s intention to return to Fiji, adding that further details would be released at a later date. 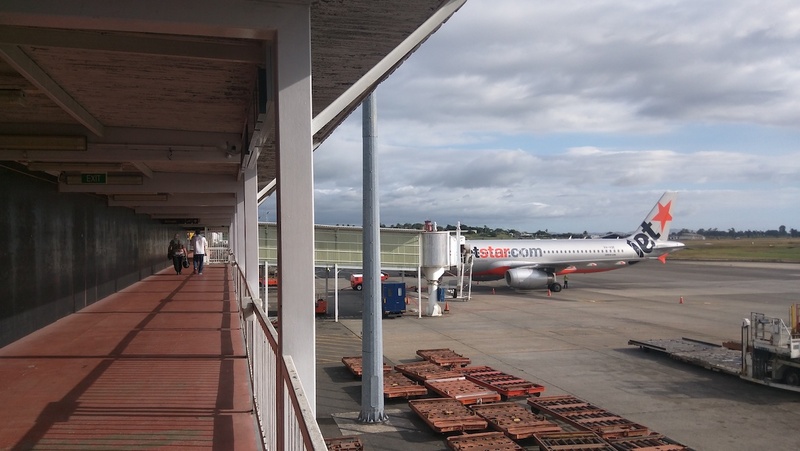 “We are planning to launch new services from Australia to Fiji, where we are seeing increased demand for premium travel,” the spokesperson said in a statement on Tuesday. Qantas last flew to Fiji with its own aircraft in the early 2000s. Currently, it codeshares on Fiji Airways’ nonstop flights from Nadi to Adelaide, Brisbane, Melbourne and Sydney, as well as between Sydney and Suva. 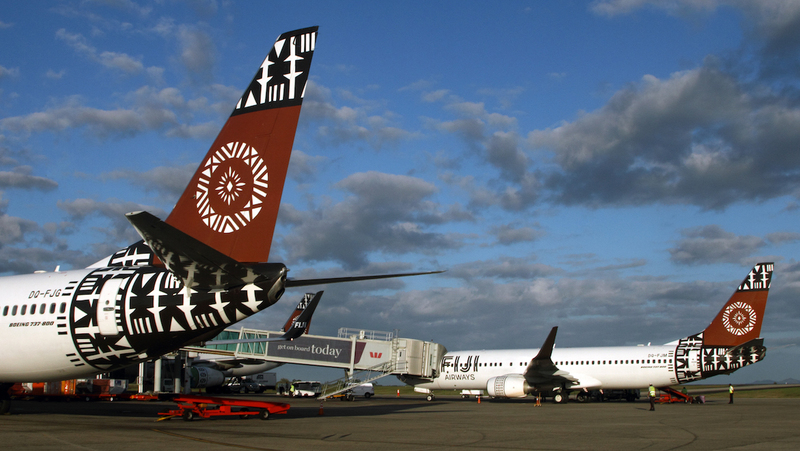 The Australian carrier has owned 46 per cent of Fiji Airways since 1998. Meanwhile, the Qantas group’s low-cost carrier unit Jetstar began serving Nadi in 2010 with Airbus A320s. The LCC currently operates nonstop between Sydney and Nadi. The third airline with nonstop flights between Australia and Fiji alongside Fiji Airways and Jetstar is Virgin Australia, which serves Nadi from Brisbane, Melbourne and Sydney with 737-800s. The Qantas spokesperson said the proposed flights to Fiji would complement Jetstar’s existing services and the codeshare agreement with Fiji Airways. A return to Fiji is the latest example of Qantas returning to previously dropped routes. The airline returned to the Perth-Singapore route in 2015 after a year off the route. There was also the resumption of nonstop flights between Sydney and Bali in 2015, first on a seasonal basis and then year round, followed by Melbourne-Bali earlier in 2018. And in 2017, Qantas recommenced Sydney-Beijing nonstop flights for the first time since it dropped the Chinese capital from its route network in 2009. Qantas’s application to serve Fiji comes a month after the governments of Australia and Fiji agreed to expand the air services agreement to increase the number of available seats for airlines of both countries by 20 per cent. Previously, airlines of both countries were utilising just about all of the 6,500 seats of available capacity from Australia’s four major gateways of Brisbane, Melbourne, Perth and Sydney to Fiji. There were no capacity restrictions to Australian cities other than those four points. However, as a result of the the expanded bilateral, the register of available capacity on the Department of Infrastructure, Regional Development and Cities website shows that as of October 5 2018 there were 701 seats currently available for Australian flag carriers from the four major gateways to Fiji. From March 31 2019, the number of available seats for use increases to 1,401 seats. Meanwhile, figures from the Department showed Fiji Airways had utilised 6,490 seats during the 2017/18 Northern Winter season to the four gateways. Fiji Airways has announced previously it is replacing all of its 164-seat Boeing 737-800s and 122-seat 737-700s with soon-to-arrive 185-seat 737 MAX 8s, representing a double-digit percentage increase in capacity. Further, the airline earlier added a sixth Airbus A330 widebody to its fleet, which may also be deployed on Australian routes. you’d think the short lived Air Pacific/Fiji Airways routes of Canberra to Nadi & Gold Coast to Nadi would work better for Qantas, where they don’t need to apply for seats. Qantas 737s won’t be able to compete with Fiji Airways A330s Sydney/Nadi. Fiji Airways offering is far superior to anything Qantas can offer, especially in business class. Melbourne/Fiji daylight flights could work. Presently only Virgin operate daylight flights out of MEL. Qantas 737s could never compete with Fiji Airs A330 out of Sydney to Nadi. Qantas should replace the Jetstar services SYD/NADI !!!! Look forward to seeing this come to fruition, as I am planning a trip to Fiji. This is great news. Would be nice if Qantas offered a flight from the Sunshine Coast to Cairns, Townsville, Rockhampton and Gladstone along with Mackay. Even if they were twice a week flights and some on the Jetstar route they’d clean up. Q400s for Gladstone and Rockhampton, B717s for Townville with some 737s, 717 for Mackay and the B737 for Carins. More than 162 people will want to be traveling to Cairns each week return. Just wish QANTAS would step up and offer the slipping flights we want. They have Qlink, Qantas and Jetstar use all 3 branches to service a region wanting the flights. @David – whilst others may, I do not think that Gold Coast or Canberra would be a good idea. As QF already sells seats to Fiji, they have adequate data available to them, to determine whether there is demand and from where. Also while I personally would choose a widesbody over a narrowbody, experience has shown that QF is finding passengers who either don’t mind, don’t know or for reasons I can’t think of, prefer it. PER-SIN and Bali come to mind. HUTCH, re your comment …………. having dealt with Qantas for over 30 years, I don’t find any of their staff very bright & that’s being kind. In many cases they tend to be followers not industry leaders. Look at Singapore/Canberra. Look at Mel/LAX. Please Q start Canberra to Nadi flights First. What pain flying from Canberra to Sydney or Melbourne onwards to fiji. I just booked tickets with Singapore airlines flying out of Canberra to singapore rather than Flying Q and losing points more for convienence. Qantas have the data on figures on potential passengers. They would know whether CBR to Nadi would be profitable. doubt if Fiji Airways would give them any data on SYD/NAN flights & Virgin certainly wouldn’t. They might be able to get data on numbers but not fares paid. Sunshine Coast to anywhere except maybe SYD & MEL is going to be very low yield. Qantas is an extremely high cost airline. 162 passengers on loss leader fares does not work, you need business types who don’t care that a last minute return fare MCY/CNS costs $2000 to offset all the loss leader fares. It’s about time. Fiji Airways’ monopoly on this route is very unfair on People of Fiji who wish to visit their families and friends and on most occasions to attend to funerals. They all subjected to pay more than double.For instance where there is competition the airfares to south east Asian countries are almost half of that for twice the distances from Australia. Fiji Airways does not have a monopoly. Virgin flies from BNE, SYD & MEL daily to NAN & the MEL services are in daylight, which is preferred by many to the red eyes of Fiji Air. Jetstar also fly SYD/NAN, but not daily. 3-4 days a week I think. Lat minute fares on all airlines are always very high unless the yield manager has stuffed up big time, or there’s been a major world event like SEPTEMBER 11. Very true. Fiji Airways are in need of more competition because their prices are absolutely ridiculous. Compare Fiji Air prices to Nadi (NAN) with Virgins & they are not very different. Even Jetstar SYD/NAN are not much cheaper generally. Let Fiji Airways run the route and Qantas to maintain it’s code share. Fiji Airways will be introducing 737 Max’s soon (5 altogether and the only company in Oceania) and their A330’s play a big part in comfort. Personally i would prefer Fiji to venture into another aircraft to cater for the 696 seats/week which will allow them to employ more people. At least this way Qantas can help Fiji grow. Qantas has 46% profit anyway. To the person who has to fly via Syd to Fiji, and the person missing out on points, and the person complaining about narrowbody craft… first world problems eh! Sydney is such an awful airport to have to change terminals at. Much easier for example, if wanting to go to LAX or SFO to fly CBR/NAN/LAX or SFO, where to change aircraft at NAN you might have to walk 100 metres, cf. at SYD miles which is also very time consuming, plus another round of stupid security. Minimum connecting time at NAN must be very short, whereas at SYD, 2 hours is usually nowhere near enough. Qantas should be looking at using Newcastle (Williamtown) for flights to Nadi. There are a large number of travellers from Newcastle, Hunter, North Coast and Central Coast who brave the M1 Pacific Motorway to access flights to Fiji. Newcastle airport has been upgraded for International flights and should be utilised by Qantas. Newcastle(NTL) to Nadi is probably a thin route for the likes of Tiger. Qantas is an extremely high cost airline (they pay their staff way too much) & they will never ever fly out of NTL to anywhere, IMO. Cost of airfare to Fiji is high because of Fiji Government Tax for Nadi Airport. That on top of paying fare very late/close to travel date will cost you. Can’t wait to see how inflight service for Qantas compares to Fiji airways. Just happy more seats available so expect more competition on prices I hope. Qantas is hardly going to drive down prices. Suggest Qantas costs are much higher than Fiji Airways costs. Fiji Air needs to fly MEL/NAN & ADL/NAN in daylight hours. They already have the cheapest flights BNE & SYD/LAX & SFO from around $799 return via Fiji. At the moment cheapest is about $50 more. SYD/LAX can be called direct as same A330 aircraft operates he route. 31 March is just over 2 months away & no schedule loaded. That’s a very short lead time. Quite a few people book their international holidays 11 months ahead.